Is your growth being stifled by playing in "safe spaces"? Has the predominant psychology and spirituality of "good just as you are" shielded you from the deep resilient satisfaction of resolving your deeper shadows and traumas? Are you wanting to Awaken from the dream of your reactivity and suffering rather than trust your fragile self-image? "Am I good enough? Am I good enough?" Working with me is a call to adventure in the wilderness of your own interior. I am committed to wholeheartedly supporting you in walking your path and it is tremendously liberating to take ownership of your own hero's journey in the face of a world that unconsciously encourages you play it safe and pretend to be powerless. A commitment to facing your suffering squarely as your own joyous responsibility becomes the true freedom that makes life worth living!!! 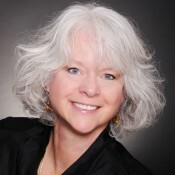 Deborah Bowman, Ph.D., is a licensed clinical psychologist and certified Gestalt therapist with over 25 years experience. 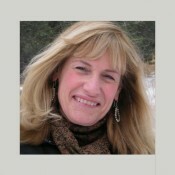 She integrates Gestalt, Jungian, creative and contemplative approaches to therapy and works with adults and couples. 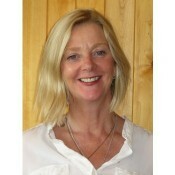 She has extensive experience working with grief, anxiety and depression. 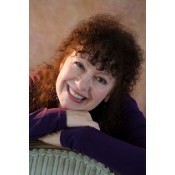 Deborah is an author and artist and enjoys coaching the creative process for artists in psychotherapy as well. 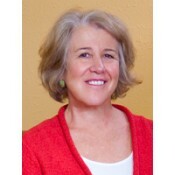 She is a Professor of Transpersonal Counseling Psychology at Naropa University and a senior teaching faculty with the Boulder Psychotherapy Institute. Full range treatment with specialty in early attachment, somatic psychology, and shock/trauma resolution. Focus on unraveling behaviors based in pre-cognitive memory responses related to perinatal time frame. I have worked in the fields of mental health and addictions for over 25 years. I enjoy helping people with depression, anxiety, and addictions turn their lives around using Cognitive Therapy, EMDR, and Brainspotting. 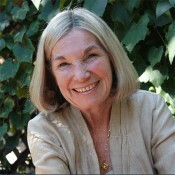 Betty Cannon, Ph.D., is the president of the Boulder Psychotherapy Institute. BPI trains therapists in Applied Existential Psychotherapy (AEP). AEP interlaces the insights of contemporary existential and psychodynamic approaches with techniques inspired by Gestalt and other experiential therapies. Betty is its founder. She holds doctorates in both literature and psychology. 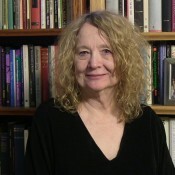 She is Professor Emerita at the Colorado School of Mines and Adjunct Professor at Naropa Univesity and Regis University. 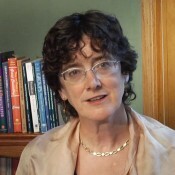 She is the author of many articles and book chapters on existential therapy. Her book, Sartre and Psychoanalysis, is considered a classic in existential psychology. 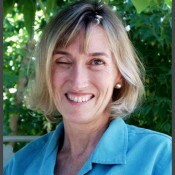 She has worked with individuals, couples, and groups in Boulder for over 30 years and trained therapists for over 20 years. 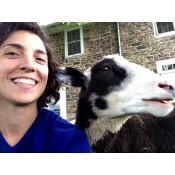 Her long experience in the field has not diminished her passion for her work. She feels privileged to have shared so deeply with so many people over the years. 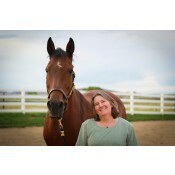 Her life has been enriched by the courageous work of her clients and students. 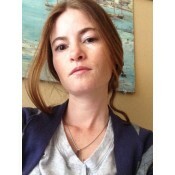 Dominie Cappadonna Ph.D, CT, Ph.D.
We are a sliding scale mental health clinic staffed by third year Master's students from Naropa's Graduate School of Counseling Psychology. We offer somatic, transpersonal, contemplative and wilderness therapy approaches and interns are closely supervised by an experienced social worker and addiction counselor. We offer support around difficult life transitions, grief and loss,depression, anxiety, trauma and "help for the helpers". Our sliding scale goes down to as little as $30 per session. Noeticus Counseling Center and Training Institute was incorporated in 2004 as a community-based, not-for-profit counseling and training center. Our mission is to provide innovative and affordable counseling and psychotherapy services to a variety of individuals, couples, and families within the greater Denver community, as well as basic and advanced training opportunities to mental health professionals both locally and across the country. 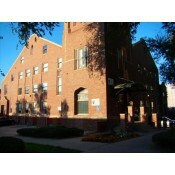 With our central location in downtown Denver we are easily accessible from most areas in the local community. Our flexible daytime, evening, and weekend hours also help to make it easy to find a practitioner who is available at a time that is convenient to you. As a nature-based coach, Deniz facilitates the re-connection of humanity with the Natural World, so we can recognize our souls' longings and true purpose. 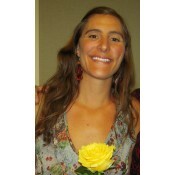 Deniz is a certified Brennan Healing Science Practitioner and a health coach. 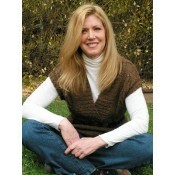 Her focus is working with people who are looking to bring more awareness and connectivity into their lives. Her goal is to help her clients rediscover themselves, their connection with Nature, and to find new ways of relating to their bodies and the Natural World. We do this so we can come more alive and feel into how we can best be of service in this life time. Ongoing training: Apprentice Training Program with the Hero's Journey Foundation. Fourth year of Psycho Energetics Training. Are you afraid of being abandoned? Do you try to avoid being alone? Do you have unstable and intense relationships? Are you often confused about who you are as a person? Do you often feel bored, empty, or in deep emotional pain? Do your emotions and moods change frequently? Don�t hesitate to call for help. 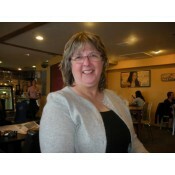 I have over 20 years of experience as a psychotherapist and specialize in personality issues. 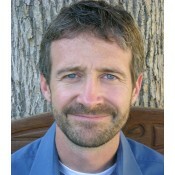 I will work with you to tailor a therapy style that is comprehensive and sensitive to your needs. Throughout my professional practice I have worked successfully with people who have experienced problems such as depression, anxiety, fears, emotional pain, posttraumatic and personality disorders, relationships difficulties and low self-esteem. I will help you gain self-confidence, become more successful in your life, and experience more satisfying relationships. I work with individuals of all ages, race, gender, ethnicity, and sexual orientation. I will work with you to understand the meanings and motives of your behavior, and to strengthen your capacity to endure frustration, anger and loneliness without acting impulsively upon those feelings. 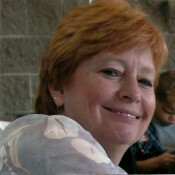 Lynda Hilburn, MA, LPC, CCH, CAC II has worked with individuals, couples and groups -- as an intuitive counselor then as a Licensed Professional Counselor -- for the last 30 years. 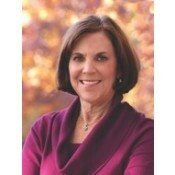 Catherine Mathon, MBA, MA, LPC, M.A., M.S., L.P.C. Do you feel that you have tried all the possible advices that were given to you? are you exhausted, irritated all the time? - Are you watching your child struggle in school, with peers, or even at home? - Is your child or teen behaving in ways that concern you and you don't know how to help? - Do you feel as if you've lost your child and can't connect with them anymore? - Are you struggling to find joy in yourself and in connection to others? If any of these questions feel true, you have come to the right place... My passion as a Therapist is to help my clients connect with who they are, love themselves and help them find ways to be in the world without compromising their authentic self. I provide a non-judgmental space where my clients can explore their internal experience, experiment how it feels to be authentic, and new behaviors. 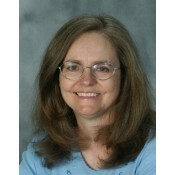 Leslie A. McCormick, M.A., L.P.C. A somatic psychotherapist and registered dance/movement therapist, I am passionate about nurturing change through collaboration with my clients. I believe meaningful and enduring change comes about through a combination of authentic relationship, accessing and respecting the unconscious, courage, new experiences, and practice. I blend subtle somatic techniques, dance/movement therapy, dreamwork, and close attention to words and stories to facilitate clients� access to the potent keys of transformation that lie within. My areas of particular interest and specialization include working with the somatic impacts of oppression, trauma, body image, anxiety, depression, chronic illness, and self-actualization. I also work with child clients through play therapy and dance/movement therapy. 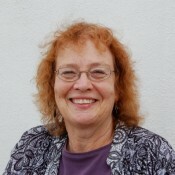 Helene R. Mentzel, M.S.W., L.C.S.W. 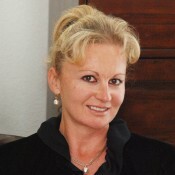 Helene Mentzel is a Licensed Clinical Social Worker in practice for over 20 years. She is trained in several modalities, including, but not limited to the following: EMDR, Somatic Experiencing, and Brainspotting. 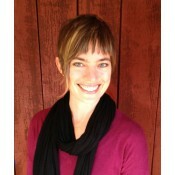 She specializes in Depression, Anxiety,Trauma,PTSD, & Postpartum Mood Disorders. She runs support/workshops/groups for adults in significsnt relationships with someone with a Narcissistic Personality Disorder, including the following: parent(s), spouses, lovers, siblings, friends, and employers to help them overcome feelings of inadequacy, abandonment, need to be perfect,constant self criticism, and move towards enhancing a positive sense of self, empowerment, establishing good boundaries and creating healthy relationships. Have you been working on yourself for a while but still find yourself hooked by old issues and triggers? Are you able to intellectually understand your issues but, despite your insight, continue to find yourself repeating the same old patterns? To help people make the changes they want, I use a variety of proven, effective tools, both traditional and non-traditional because I've found that talking alone isn't enough to heal many issues. I've been in practice for 28 years and have a warm, down to earth style, which is compassionate and insightful. Clients experience a sense of profound positive release and lightness after most sessions. 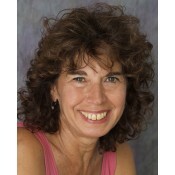 Nancy Ortenberg, M.A., LMFT is a Jungian psychotherapist with nearly 30 years of clinical experience. 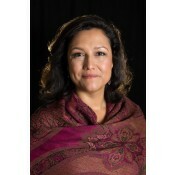 She has studied at the Zurich, Denver, and Los Angeles Jung Insitutes, and is a Candidate with the Inter-Regional Society of Jungian Analysts. She has a particular interest in working with messages from the unconscious in dreams, creative expression of the psyche through drawing, painting, sandplay, and writing, and amplification in myth and fairytales. In addition to individual and couples therapy she facilitates ongoing monthly dream groups, offers seminars on dreamwork and sandplay, and provides individual and group clinical supervision and training to licensed therapists and those working toward licensure. Recognise this? 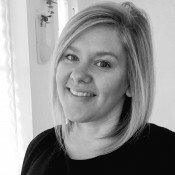 Colette specialises in couples therapy - she works with compassion, insight and humour that clearly demonstrate her love and commitment to relationships. 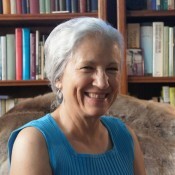 She draws on over 20 years of psychotherapy training and practice, managing change in groups and organizations, and studying and leading Shamanic teachings and ceremonies. Initial sessions focus on creating trust and safety in for clients to be heard and understood. Each session includes practical models and `take home' techniques that enable powerful shifts in understanding and behavior. As the work progresses, Colette guides, supports and challenges using a range of approaches which promote self- awareness and self -acceptance in order to heal the past, overcome blocks and achieve potential. You are already one step closer to transforming your pain/problem into profound growth! When you face life's changes and challenges with the right support, you can rise above and deepen your own wellness. With over 15 years of experience, I help you heal, regain balance in your life, unearth resources, and gain tools to uncover your true joy and vitality. I�m excited about helping people become aware of how they create barriers to authentic human contact in their relationships and helping to transform those that don�t serve them in a healthy way. I love to work with people who are willing to learn to take personal responsibility in how they make contact in their relationships. I love to work with people who want to really engage with their own growth. 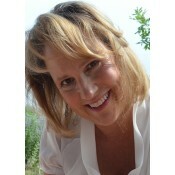 I am a licensed therapist with a background in the holistic healing of mind, body, and spirit. I am certified in EFT and Matrix Reimprinting, and a graduate of the Hakomi Method. If you feel powerless, fearful, overwhelmed, or inadequate, it doesn't have to be that way. My work is appropriate for those with mental health challenges, as well as for those who want to explore their deeper life purpose. 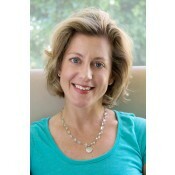 Ioffer a complimentary strategy session on my website, www.StandingInYourPower.com.